Even with all the best beauty products in the world, your skin needs to be nourished from the inside to be healthy. Incorporating the following foods into your diet each day — along with plenty of water — will help your skin look its best! Blueberries, strawberries and raspberries are all rich in vitamin C and E, which help your skin stay nourished and healthy. 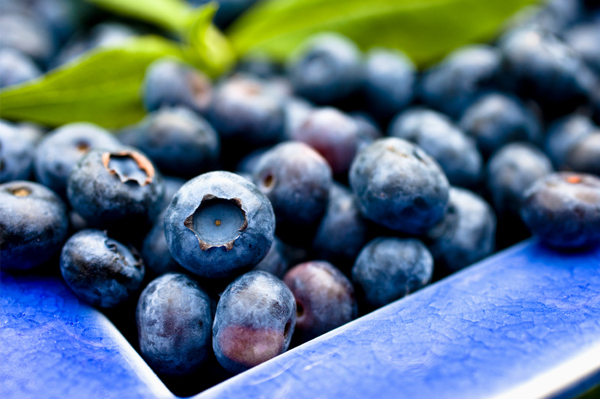 Eat berries in everything from cereal to yogurt, which is also good for your skin because it aids digestion. If you have digestive problems, toxins are released into your system, which cause inflammation of your skin and breakouts. Try to eat fresh tuna, sardines or salmon a couple times a week, because these types of fish are rich in essential fatty acids, which reduce inflammation as well as keep your skin moisturized. Tuna is also full of selenium, which is great for the overall health of your skin. If you aren’t into fish, almonds and flaxseed oil are other great options. Walnuts, almonds and seeds all are good sources of healthy fat as well as antioxidants, which protect your skin against sun damage and pollutants. Add nuts or seeds to cereal and salads, or grab a handful as a healthy snack.